We want to be your Number One resource for information about your Valley Village Home and determining Valley Village home values and we hope you will stop by often! By using our What's My Valley Village Home Worth "Value Market Snapshot" you can get the most recent comparables in the comfort of your living room. It is easy to use and it is FREE! In just 2 easy steps you will receive a report bursting with important market data including maps, charts and statistics. 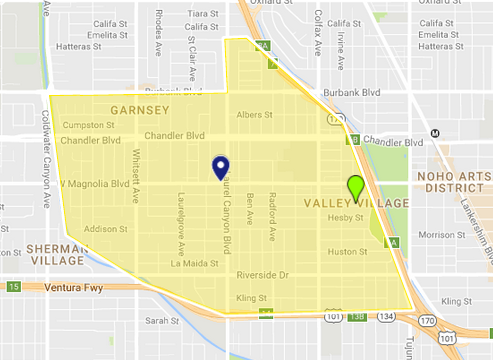 Your Comparative Market Analysis will be emailed to you within an hour and then reports will automatically arrive every month so you will always have the most current information regarding the Valley Village Real Estate market. Go ahead you have nothing to lose and a wealth of information to gain. No Ads just accurate Search Results. Search the MLS For Valley Village Homes For Sale. The Most Up To Date MLS. Take a moment to signup for Listing Alerts and have the most recent listings sent directly to your inbox or phone via text message. Stay on top of this fast moving real estate market. Be the first to know when a home in your neighborhood comes on the market. Fast and convenient! Accurate MLS data. Easy to use. Knowledge and Experience is what a dedicated Realtor can offer you when you are ready to put your home on the market. From knowing the best way to market your home to making sure you get top dollar. “The Right” Realtor® will form a powerful connection with her clients that allows for a successful, stress free close.